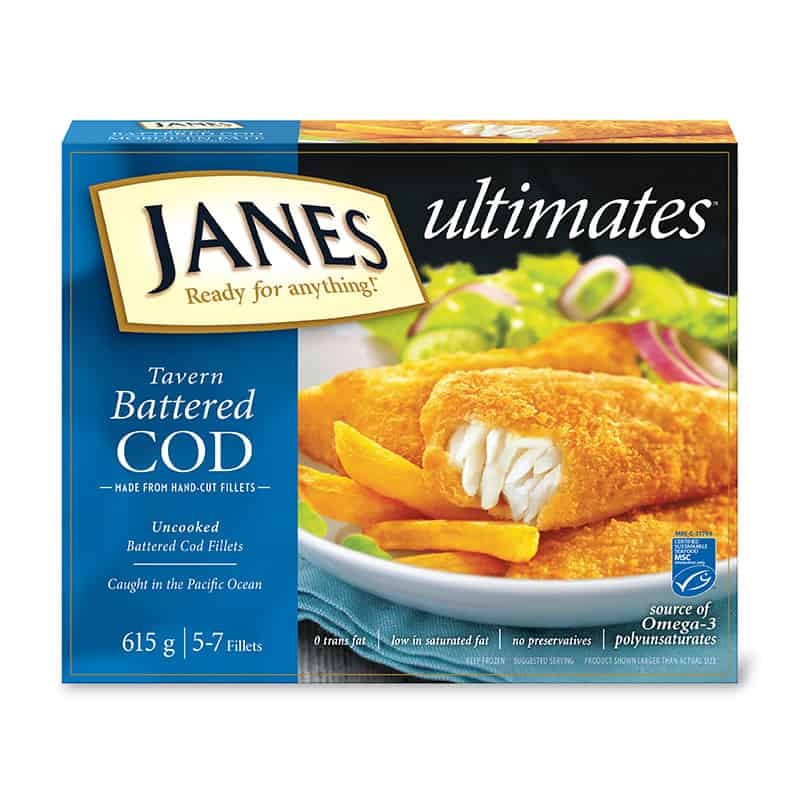 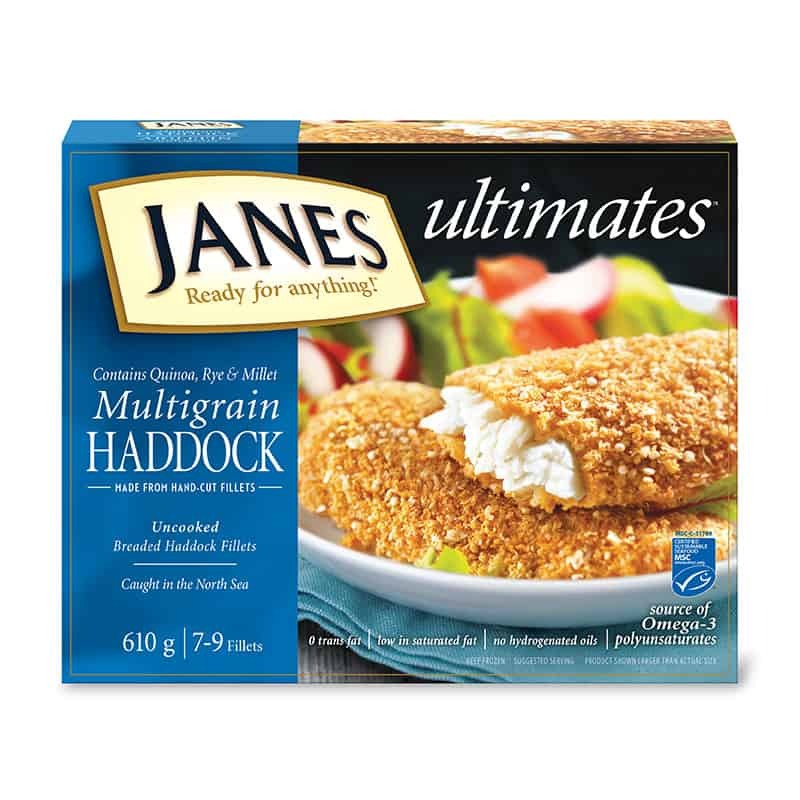 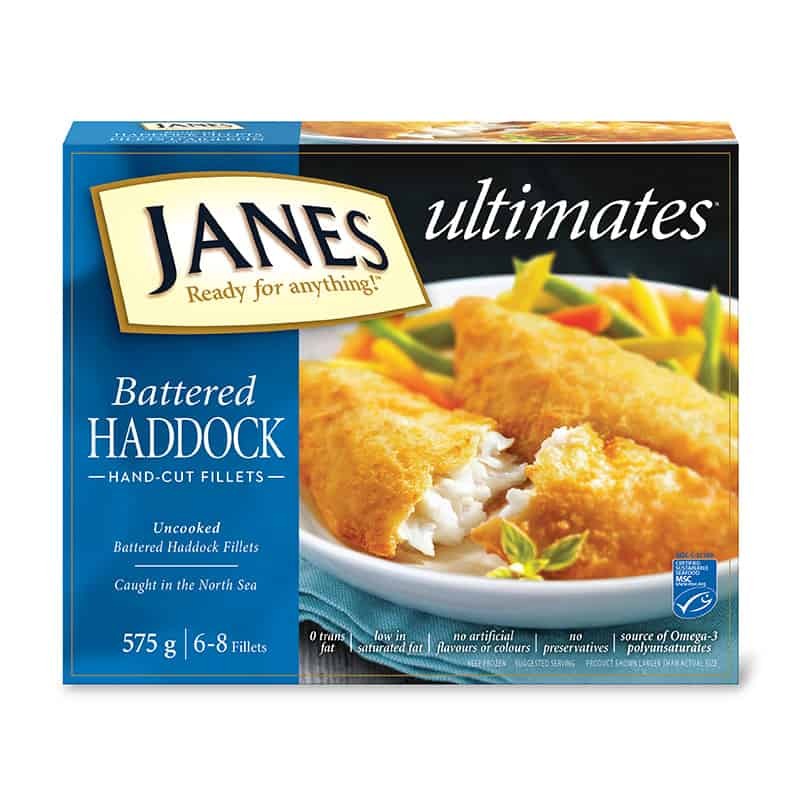 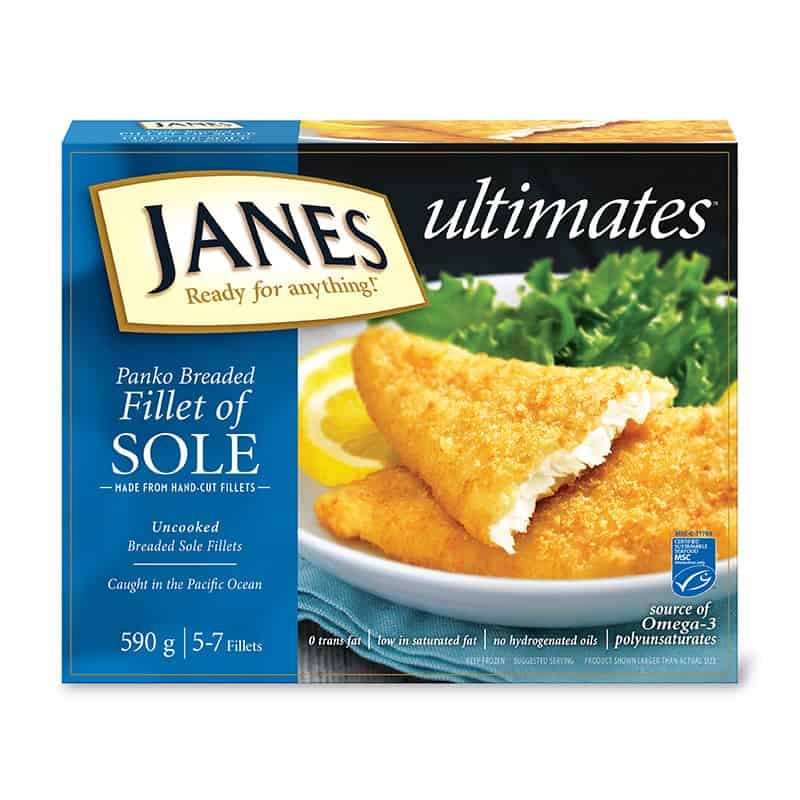 ultimates Battered Haddock Fillets - Janes® Ready for Anything! 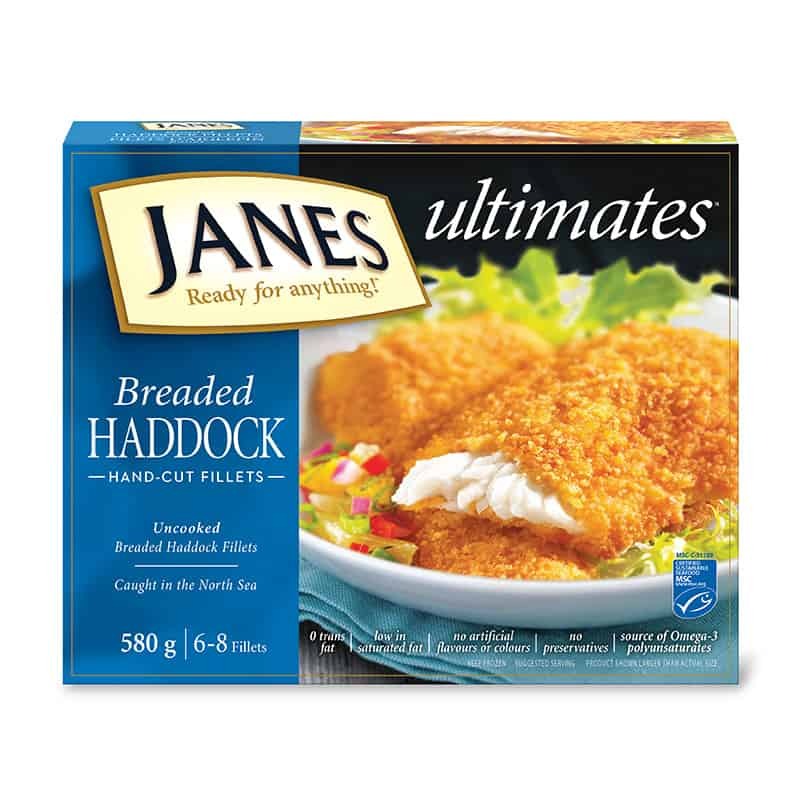 Only the highest quality fillets are chosen and then wrapped in a toasted wheat crumb batter for our ultimates Battered Haddock Fillets. 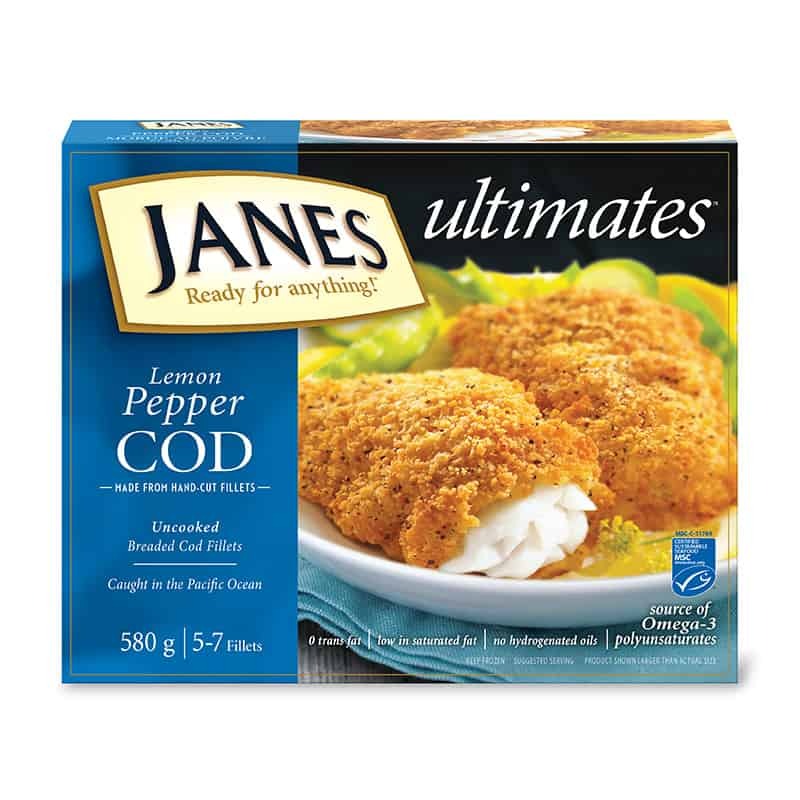 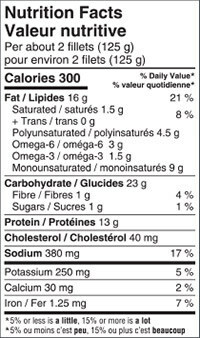 Pair with vegetables or salad for a quick and delicious meal.